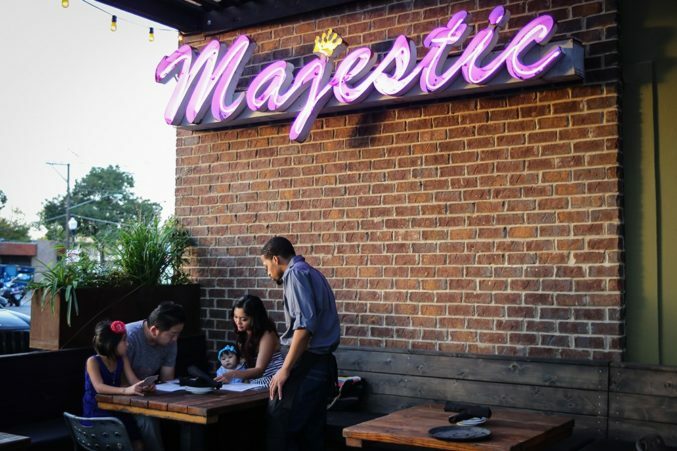 Henry’s Majestic, from the folks behind Bread Winners, opened in the space that once housed ACME F&B. While a few ornamental adjustments have been made, the layout and fundamental design elements are the same.“Roe” Dileo who has worked as a chef at The Libertine and at Boulevardier plays the role of General Manager. Adam Kovac, the executive chef for Bread Winners, Inc., is the man behind the restaurant’s rotating menu. And Alex Fletcher, previously of People’s Last Stand and Victor Tango’s, is hailing the beverage program. The rotating menu offers dinner and brunch (on Saturdays and Sundays).